This is the flyer for the event held by Tempat Motret and sponsored by Djarum Super. My friends and i made the wardrobes for the event and there will be Fashion Photography Workshop, Photo Hunting, On the Spot Comepetition & Photography Bazaar wit haute couture wardropes by me and friends. Don't forget to bring your camera and meet me there! 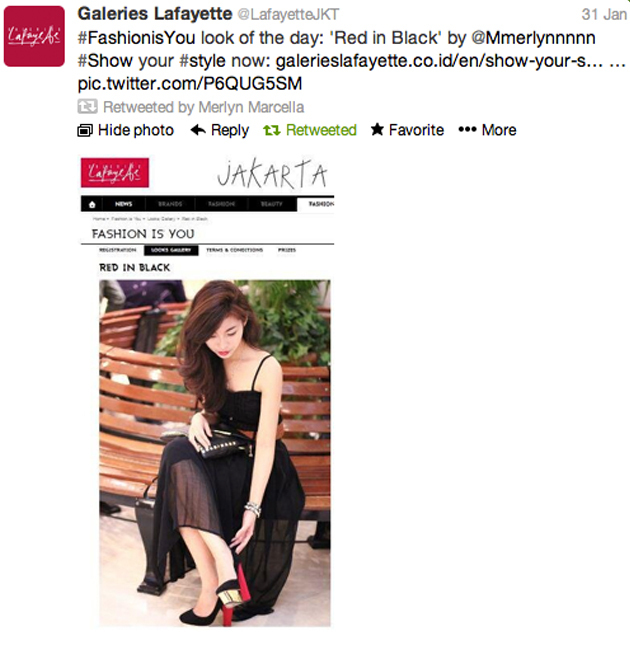 Talking about the event, i was the nominees of the top 100 "Fashion is You" by Galeries Lafayette Jakarta" and i got the jury interview with the judge a few days ago. The judges were Biyan Wanaatmadja, Ria Lirungan, and Affi Assegaf. I was so nervous. I wish i could be the top 40 but the others were so gorgeous and amazing. wish I could go to IFW too! whoa!!! damn you're sooo damn lucky!! congrats!! love your outfits of your previous posts!! you're such a fashion blogger! You made the wardrobes, congrats! lucky you, i wish you all the best, dear! Hey i'm one of the nominees too! Did you come in for 7 oclock interview / 10 last week? 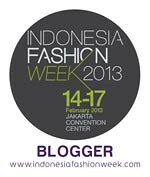 i wish i could go to ifw 2013.